MLS doesn’t have a monopoly on confounding decision making. Amongst the turmoil surrounding Columbus Crew SC, the NWSL has made some changes already as well. Minnesota businessman Elam Baer bought FC Kansas City, with hopes of moving it to the North. Instead, the league bought it back from him, closed it, and is opening a new team in Utah. Baer still has the goal of bringing the league to Minnesota, however. With the MLS Final approaching, PRO has made the announcement of the center referee for the ultimate match of the season. Allen Chapman will serve as the center official after winning PRO’s Referee of the Year awards. He will be assisted by the 2nd- and 3rd- place finishers in the voting for Assistant Referee of the Year. The University of Minnesota-Duluth forward Skye Finley was voted to the Second Team of the United Soccer Coaches (formerly NASCA) NCAA Division II Women’s All-Central Region. Finley, a native of Forest Lake, led the Bulldogs in scoring for the second consecutive season. Grant Wahl sported a familiar looking scarf whilst reminiscing on some of his poorer predictions for the year. Wahl also broke the news that Sunil Gulati may not, in fact, run for re-election in USSF, instead supporting current SUM president Kathy Carter. Christian Ramirez was spotted receiving his Colombian passport. The obvious speculation is that he is courting the Colombian FA for selection to the national team. University of Minnesota defender Nikki Albrecht was officially called up to play for the U.S. women’s national team. FiftyFive.One is now on Patreon. 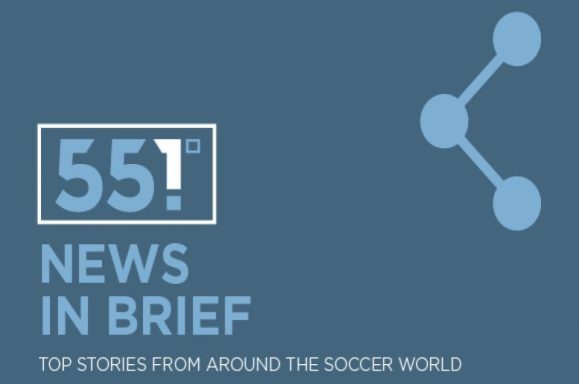 Do you like the independent coverage of soccer news from Minnesota and beyond that FiftyFive.One offers? Please consider becoming a patron.